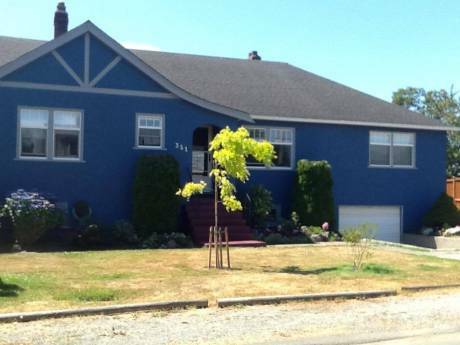 Comfortable home in Oak Bay near ocean beach. Our home is a bright, comfortable and clean 1920's character home that has been well maintained and updated. It has 3 bedrooms, 2 bathrooms, living room, family room, fully equipped kitchen, and a private backyard. One bedroom has a king-size bed; the other two have single beds. We have all the usual modern appliances. We are both in our 40's. I work as a manager with the government and my wife works at the University of Victoria. Our two daughters are 18 and 16. My daughters and I can speak French, and my wife can speak Dutch. We also have a friendly outdoor cat that would need minimal care. We are both non-smokers and prefer no smoking in our home. We are very experienced exchangers, and in previous years we have enjoyed exchanges with people in Ireland, England, France, Germany, Alberta (Canada), New Mexico and California. 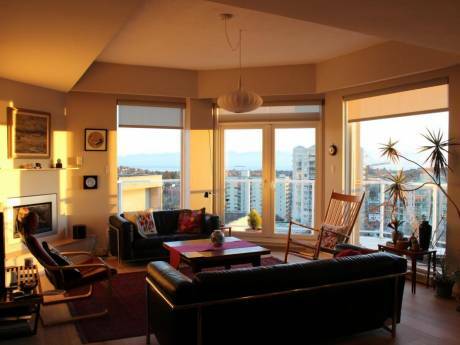 We always take good care of our exchange partnersâ homes, and we expect the same in return. Home exchanging is a great way to get a real feel for a new area. Returning 'home' after a day of sightseeing to a comfortable house beats a small hotel room anytime. WE HAVE AN EXCHANGE FOR 2007. Our city, Victoria, British Columbia, Canada, is one the most popular tourist destinations in North America, and for good reason. With its mixture of sophisticated 19th century ambience and exciting outdoor adventure activities, Victoria has a lot to offer visitors. We enjoy the best climate in Canada with summers that are warm and dry. Known as the âCity of Gardensâ, Victoria is clean, safe, tranquil and easy to explore. Readers of both Travel & Leisure and Conde Nast Traveler magazines have repeatedly chosen it as one of the ten best cities in the world to visit. As well as offering top quality museums, great international shopping, and a wide variety of excellent dining experiences, our genteel and civilized city sits in the midst of one of the worldâs most spectacular natural settings. Centuries-old rainforests, soaring wilderness mountains, rugged coastal areas and long, wind-swept beaches are within easy reach. The remarkable cities of Vancouver and Seattle are both only a few hours away by ferry. 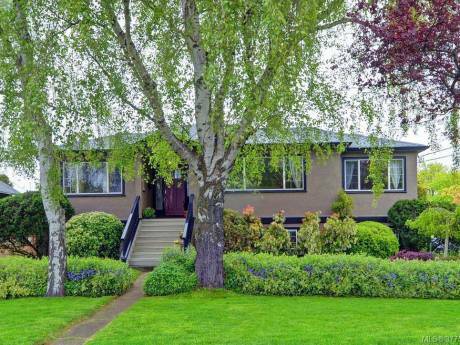 We live on a quiet, well-kept street in Oak Bay, which is considered one of the loveliest residential areas in Canada. Oak Bay is renowned for its distinctive English character, its beautiful gardens and heritage homes, and its glorious ocean views. Our house is a five-minute stroll from a sandy ocean beach. We are less than a ten-minute drive from the center of the Victoria. Within easy walking distance are grocery stores, and a variety of restaurants and pubs.